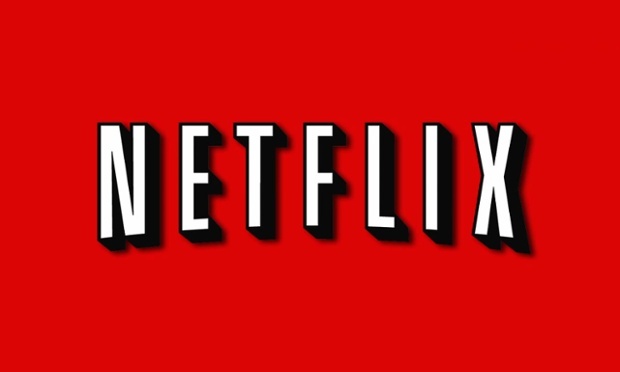 Netflix is in with a chance of breaking the internet this weekend. The hugely popular movie streaming company released the second season of the award-winning drama House of Cards on Friday, just as winter storms turned large swaths of America into a nation of stay-at-homes – a combination bound to test the US’s creaky broadband infrastructure to its limits. In part Netflix is a victim of its own success. 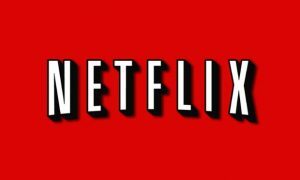 Its video-streaming service makes up about a third of the US’s web traffic on any given evening. Started as an online DVD rental business in 1997, it has pulled off the shift to digital in spectacular fashion. A business that started as a library of old movies has been transformed into a major media player. The first season of its House of Cards remake won the first Emmy for a web-only TV show and four Golden Globes. Relaunched comedy Arrested Development went on to scoop up more awards. This year Netflix received its first Oscar nomination for The Square, a documentary about the Egyptian revolution. Netflix is planning to spend $3bn (£1.8bn) on new programmes in 2014, 60% of the revenue Morgan Stanley analysts have projected it will rake in this year. It’s a pricey gamble, but so far it has paid off. The combination of new programmes and old movies has won Netflix 44 million subscribers in 41 countries, who watch more than 1bn hours of TV shows and movies every month. Three quarters of them are in the US but Netflix is an increasingly international business. It now has an estimated 2 million subscribers in the UK and has been growing rapidly in the Nordic countries. “The strategy of providing something new is a good one: it makes the service more about today rather than being an archive,” says Toby Syfret of Enders Analysis. Even in the UK, where Netflix faces stiff competition from Sky and LoveFilm, shows like House of Cards and the prison black comedy Orange Is The New Black are attracting subscribers. But behind the new shows lies Netflix’s real innovation – its recommendation technology. Using a customer’s history, Netflix tailors its library into an estimated 79,000 “microgenres” – Oscar-winning Romantic Movies about Marriage, Gritty Suspenseful Revenge Westerns, Evil Kid Horror Movies – you watch it, they categorise it. “The whole service acts as a filter,” says Syfret. In a world where there are too many choices, Netflix offers a solution. Netflix is a tech company first and a media company second. Founder Reed Hastings studied maths and later artificial intelligence at BowdoinCollege in Maine. 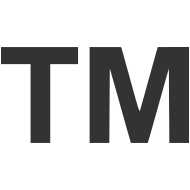 The company employs people to tag movies with metadata. Before they can start, they have to absorb a 36-page training document that sets out how to rate movies on categories from gore and sexual content to romance and even narrative elements like plot conclusiveness and the moral status of characters. Combine that with the data viewers provide and Netflix is certainly creating the most powerful movies database the world has ever seen. Hastings recently told the New Yorker he believes Netflix’s potential American market is “60-90 million subscribers,” double or triple the current count in the US. He also thinks half of all TV will be delivered over the internet by 2016. And therein lies Netflix’s biggest challenge. Last week Comcast, the US’s largest cable company and owner of NBC Universal, made a play to take over Time Warner Cable, the US’s second-largest cable firm. Consumer groups are up in arms about a deal. Most high speed internet is delivered by cable TV companies in the US and the merger would give one company control of roughly 38% of the high-speed internet market, according to figures compiled by the Leichtman Research Group. 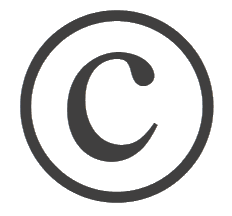 The merger is in part being driven by “cable cutters” – people dropping their cable service and relying on the internet for their media. Comcast clearly has an interest this fight and has already clashed with Netflix. In a Facebook posting in 2012 Hastings accused the firm of favouring Xfinity, its own TV-based video-on-demand service, over Netflix and rivals Hulu and HBO Go. When Comcast took over NBC in 2011 it was barred from favouring its own services by giving them more bandwidth. Regulators feared it might throttle competition, so imposed a “net neutrality” clause. That deal expires after 2017 – unless regulators add a new one to the Time Warner merger. Traditional broadcasters – Comcast’s NBC among them – have been rattled by Netflix and its peers. The shift away from scheduled programmes to binge-watching and the move from TVs to laptops and tablets are only likely to escalate in the coming months – especially if, and probably when, Apple finally enters the TV market. The fight between Big Cable and Netflix is likely to be one for the ages: and one that Netflix’s 44 million subscribers – including Mrs Wheeler – will be watching almost as avidly as House of Cards. 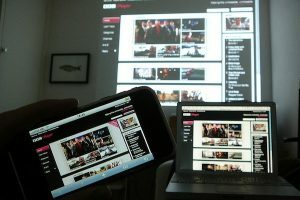 This morning the BBC launched a whole new version of its iPlayer app, destined for connected TVs that sport a Net connection. In essence this means the BBC has taken its TV content online, added on-demand features, advanced search powers, playability on multiple platforms both mobile and static, and then fed all of its lessons back into an app…for TVs. 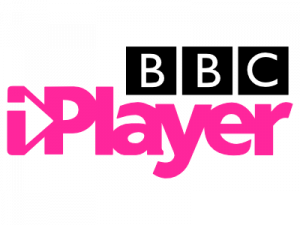 The new BBC iPlayer app for TVs is aimed at those Netizens who’ve also bought a Net-connected TV because they like the interactivity, social networking, TV on-demand, email, weather reports and everything else that a “normal” TV can’t offer. This is actually an enhancement of a system the BBC trialed on Virgin TV set-top-boxes back in 2008, with the new system being aimed at many more consumers and bringing a radically overhauled user experience with it. The BBC is rolling it out as an app for Sony PS3s at first, but will then be made available for other platforms soon after. The tech march is all of a piece with the BBC’s recent history. 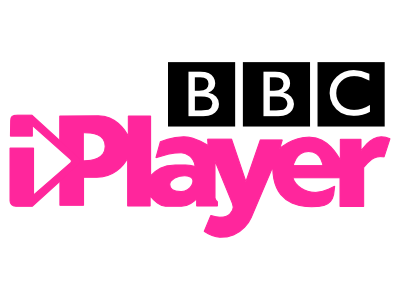 Remember just last week the BBC took the popular iPlayer Net TV solution international for the first time as an iPad app, and note that the iPlayer service is already used by millions of Brits every day (145 million uses in December 2010). And recall that the BBC introduced a form of interactive TV for digital transmitted content back in 1999, bringing additional text info, multiple-angle viewing to some shows, and a degree of “on-demand” tech for events like the Wimbledon Tennis Championship, where viewers could choose which court’s play to watch instead of merely receiving the BBC’s edited content. Of course the BBC has advantages because it controls both much of its own content creation and the way it gets delivered to the viewer (unlike some TV content producers), and its status as a government-supported broadcaster frees it from some of the tyrrany of advertising and marketing. In this regard, the BBC can package up its shows and deliver them to people’s Net TVs and iPads anywhere in the world, without having to go through some of the complex licensing hoops that other channels have to obey. Nevertheless, it’s worth watching what the BBC gets up to with this new tech, because it’s achieved something very slick, which brings Net TV and on-demand to even the less tech-savvy, and pointing to a new TV future. Global triple-play subscriptions will reach 400 million by 2017; up by nearly 300 million on the end-2011 total and up by 380 million on the 2007 total, according to a new report from Digital TV Research. Covering 80 countries, the 308-page Triple-Play Forecasts report forecasts that the Asia Pacific region will contribute 257 million of the 2017 total; up by more than 200 million on the end-2011 total. China alone will have 193 million tripleplay subscribers by 2017 (with only 39 million recorded at end-2011) – or 48% of the global total. Tim Berners-Lee continues to develop his web index which measures how the internet is used and developed across the world. Web use – the extent to which the web is used in a country; political impact; economic impact and social impact. Top performers include (1) Sweden (2) USA (3) uk (4) Canada (5) Finland (6) Switzerland (7) New Zealand (8) Australia (9) Norway (10) Ireland. LG, the third-largest mobile phone maker, on Wednesday announced a 90 per cent drop in operating profit in the April-June quarter, hauled down by a loss at its handset division as it struggled to keep up with rivals in the smartphones race. While the South Korean group promised “modest growth” in the third quarter, the weaker results are likely to fuel debate over the extent to which LG and other exporters could be further undermined in the second half by slowing demand, especially from Europe. Net profit in the second quarter fell 33 per cent to Won856bn ($722m) from a year earlier while operating profit dropped to Won126bn, which LG blamed on the investment it was pouring into research and development and marketing. Its handset unit posted an operating loss of Won120bn, from a Won620bn profit in the second quarter last year. Nielsen reports that online UK viewers to YouTube, BBC and VEVO are UK’s most popular video sites, as new tool shows Brits watch 18,000 years’ worth of online video a month. 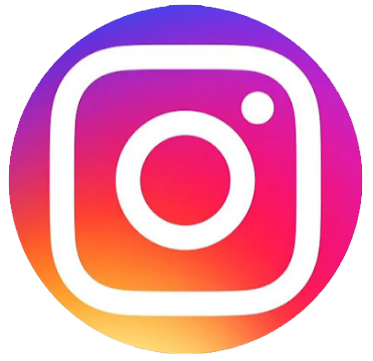 “On average, iPhone customers use more data than any other smartphone users, and account for 80% of the top 10% of heaviest data users, according to a new report examining consumer smartphone trends from Analysys Mason. Of those smartphone consumers who are in the 70thpercentile or above in terms of data usage, iPhone users appear more than three times as frequently as the next most ‘data-hungry’ consumer segment – users who have Android on HTC devices”…..
Football was not on the original modern Olympic Games programme, perhaps unsurprisingly, as international football was in its infancy in 1896. However, some sources claim that an unofficial football tournament was organised during the first competition, in which an Athens XI lost to a team representing Smyrna (Izmir), then part of the Ottoman Empire. Smyrna went on to be beaten (15-0) by a team from Denmark.